Viña Herminia is located in an unique location between the River Ebro and the Sierra de Yerga, a mountain range of great ecological significance. 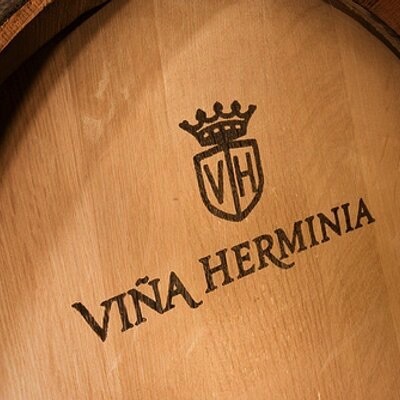 Viña Herminia was created as a tribute to an exceptional woman. In 1949, Joaquin, Herminia's husband, named a vineyard and a very special wine in the name of his wife that he loved and admired so much. His desire was that the memory of his wife last forever. The winery is fully equipped and has a modern building constructed in the form of an “H”, symbolizing the initial of the Herminia brand, which is home to 3200 American, French and Eastern Europe oak barrels.